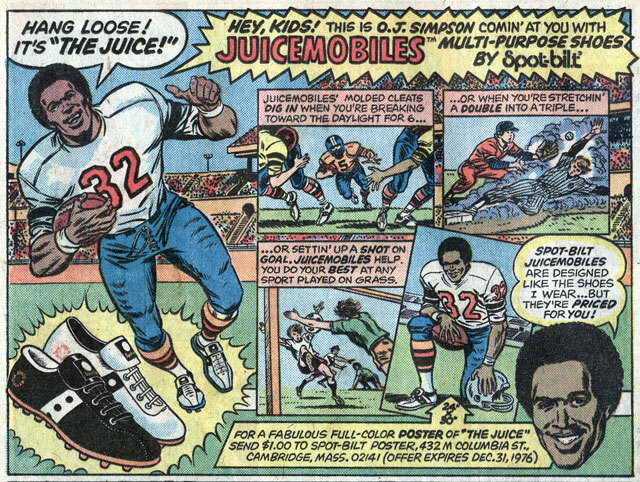 This ad for JuiceMobiles Multi-Purpose Shoes featuring the 20th century’s version of Lizzie Borden appeared in issue #9 of The Champions published by Marvel in 1976. 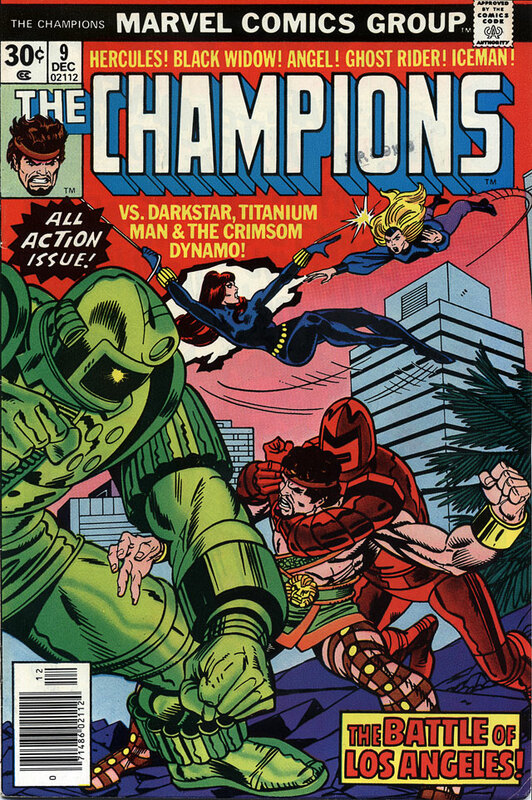 It was a super team filled with second-stringers and D-list super-heroes from Marvel’s pantheon and was set on the West Coast unlike most everything else in the Marvel Universe which was set in New York City. 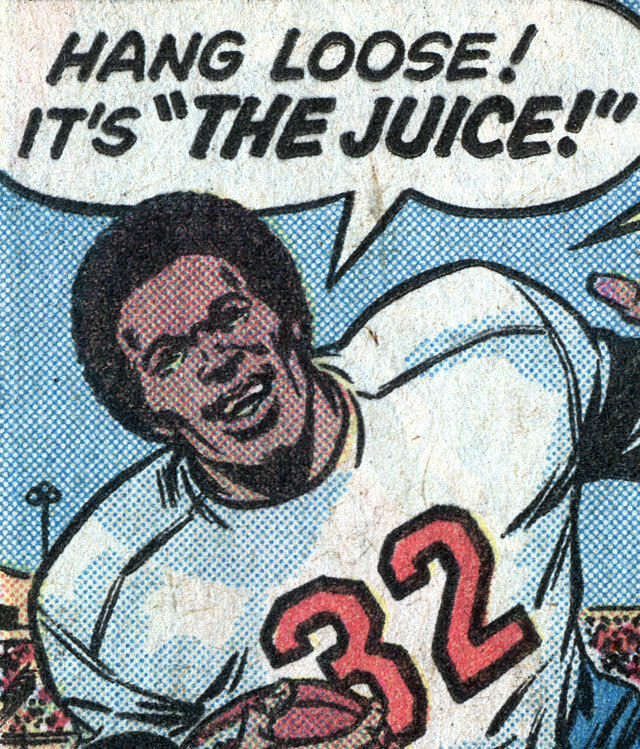 This entry was posted in What I Miss About Comics and tagged 1976, ad, Black Widow, Champions, comic book, comics, Crimson Dynamo, football, Hercules, murder, OJ Simpson, shoes, Titanium Man, vintage. Bookmark the permalink.